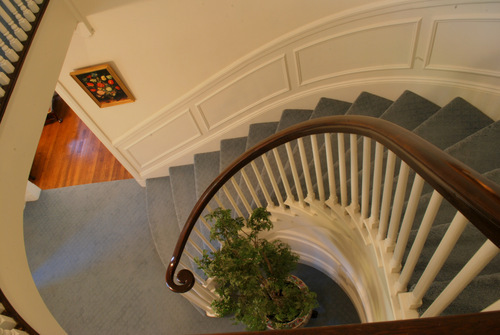 The Palmer Group » New Listing, Prized West Newton Hill, 40 Wykeham Newton, MA. New Listing, Prized West Newton Hill, 40 Wykeham Newton, MA. Here is the one you’ve been waiting for. 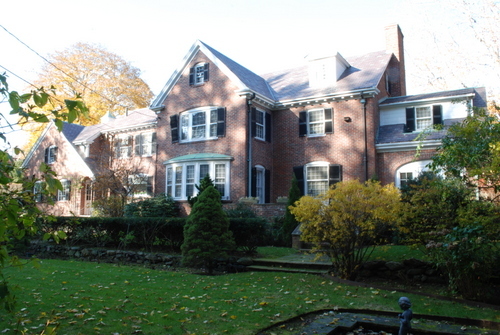 Classic slate roofed brick Georgian colonial sitting graciously on an over sized lot in a prized West Newton Hill location. From the moment you walk in you will be delighted by timeless charming details, including and elegant curved front staircase, gracious fireplace and mantel, beautiful hardwood floors throught. You could simply move right into this gracious and well cared for home or for those with vision who want to make their mark this could be a spectacular home. There is a beautiful enclosed porch with arched window openings that leads to a flagstone terrace. The terrace transcends down to the professionally landscaped grounds complete with it’s very own fountain pool. As Realtors/Builders we have several remodeling scenarios complete with pricing and visuals for those looking to do something truly special. If you would like to schedule a showing or for more information please give us a call at, 508-596-7377 or email [email protected]. Search Now For Other Homes Available In Newton. IF YOU ARE THINKING ABOUT BUYING A HOME YOU MUST READ THIS INFORMATION. Five Essential Tips To Avoid First Time Home Buyer Rookie Mistakes. Other Homes Available In Newton Between 1.8 mil and 2.3 mil. This entry was filed under Featured Listings. You can follow any responses to this entry through the RSS 2.0 feed. You can leave a response, or trackback from your own site.